Mark E. Ojakian became President of the Connecticut State Colleges and Universities system in September 2015. He oversees a system with 17 institutions serving over 85,000 students offering over 1,300 degree and certificate programs. Ninety six percent (96%) of the CSCU students are Connecticut residents. When he assumed the President’s position, Mr. Ojakian brought with him a vision for reshaping CSCU as a vital and stable organization that will support and expand affordable access for students from all backgrounds; as an organization that strives to produce educated and enlightened graduates who go on to contribute to Connecticut’s growth; and an organization that provides highly skilled workers to support the expansion and vibrancy of business and industry in the state. This vision, along with President Ojakian’s strong leadership, has resulted in the introduction of a broad range of policies and programs promoting academic excellence and raising awareness of the critical role the CSCU system plays in Connecticut. Among these are the development and application of a pervasive “Students First” philosophy at all the institutions that emphasizes teaching and learning as well as the importance of student supports that lead to success at all levels. President Ojakian has also expanded and increased funding for the programs offered in the 7 Advanced Manufacturing Technical Centers across the state, producing the workforce needed to drive growth and prosperity for the state’s 4,500 manufacturers. Under his leadership and through the hard work of more than 350 faculty from the 17 CSCU campuses, the system has launched the Transfer Ticket Program providing seamless transfer pathways from the community colleges to a state university in 25 degree program areas. Additionally President Ojakian has promoted inclusion and diversity in the CSCU system by instituting policies in support of transgender students, advocating on behalf of undocumented students and promoting second chance opportunities for students who have been engaged in the criminal justice system. At the same time, Mark’s laser-like focus on higher education issues has also resulted in his appointment as co-chair of the Working Group on Higher Education, a legislatively-created task force empaneled to make financial support available to higher education institutions to stimulate entrepreneurship and innovation. This work group is scheduled to issue its roadmap for facilitating this support in May. Prior to his current appointment, he served as Chief of Staff to Governor Dannel P. Malloy for four years. In that position, he oversaw the day to day operations of state government, including oversight of the Emergency Operations Center during times of natural disasters — which included blizzards, hurricanes and tropical storms — and tragedies like the Sandy Hook Elementary School shooting. President Ojakian was one of the architects of the original consolidation of the Connecticut State Colleges and Universities system. Among his many accomplishments in that position, Mark led the Malloy administration’s successful efforts to invest in transportation, reform primary and secondary education, raise the minimum wage, enact paid sick leave, and enable personal care assistants, paraprofessionals and graduate students to collectively bargain. He was also involved in economic development activities ranging from providing new resources to small businesses to negotiating a deal with United Technologies Corporation to recommit to their presence in Connecticut and to rebuild their research and development and engineering facilities. Before joining Governor Malloy’s office, he served as Deputy Secretary of the Office of Policy and Management (OPM). At OPM, he was the administration’s lead negotiator in the Statewide Employees Bargaining Agent Coalition (SEBAC) negotiations designed to produce substantial savings for the State of Connecticut over the next 20 years. This contract redefined the state’s relationship with its employees. In addition, he served as chair of a statewide task force on technical education. For 16 years, President Ojakian was also Deputy Comptroller under former State Comptroller Nancy Wyman. In that position, he oversaw the development and implementation of the CORE-CT statewide ERP system. 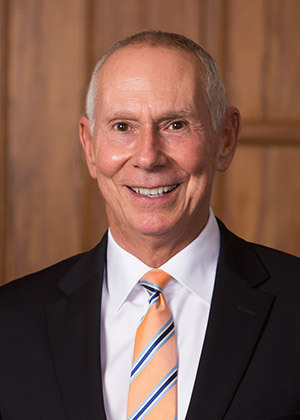 Prior to his position as Deputy Comptroller, President Ojakian served as Senior Advisor to the Commissioner at the Connecticut Department of Higher Education. He spent six years in that role, advising on higher education policy and legislative matters. In addition, he has served on a variety of boards and commissions, and has been an integral part of several large public policy initiatives, including programs that ensure medical coverage to uninsured children and extended affordable insurance coverage to municipalities, not-for-profit organizations and small businesses. He has served as chair of the Hartford Housing Authority Board and president of the Love Makes a Family Board of Directors during the successful fight for marriage equality. In addition, he has served as a board member of the Tennis Foundation of Connecticut, GLAD (Gay & Lesbian Advocates & Defenders) and True Colors, Inc. President Ojakian is also a board member for life at the Multiple Sclerosis Society. President Ojakian received many awards including the Multiple Sclerosis Hope Award and Man of the Year Award. He was also named Leukemia Society Man of the Year and received the 2015 Political Achievement Award from the Connecticut Building Trades Association. President Ojakian received a Bachelor of Arts degree in History from St. Anselm’s College in Manchester, New Hampshire, and a Master of Arts degree in International Relations from the American University in Washington, DC. He lives with his husband Jason Veretto in West Hartford. He has two children, Brandon and Kyle, and three grandchildren, Connor, Madison and Summer.